The 9,000t offshore substation was delivered by the consortium of Alstom Grid and Keppel Verolme. Image: courtesy of Global Tech I. The internal cables were supplied and installed by the consortium of Norddeutsche Seekabelwerke and Global Marine Systems. Image: courtesy of Global Tech I. 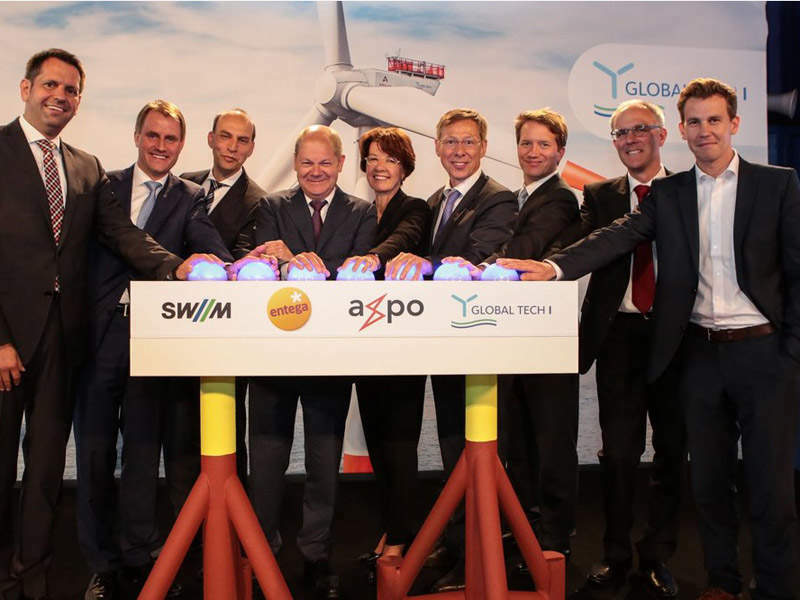 The project was developed and is operated by Global Tech I Offshore Wind, a consortium of Stadtwerke München, ENTEGA AG (Darmstadt), Axpo International, Esportes Offshore Beteiligungs, Norderland Projekt, Windreich, FC Wind 1, FC Wind 2, GTU I and GTU II. With an annual electrical output capacity of 1,400GWh, the German North Sea wind farm is capable of serving approximately 445,000 households and offsetting 1.2 million tonnes of carbon dioxide emissions per annum, compared to coal-fired power plants. 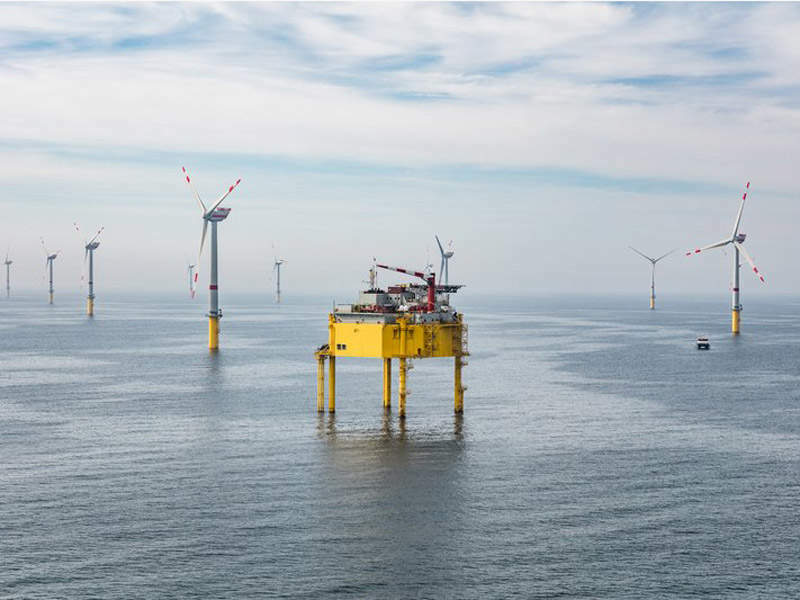 Covering an area of approximately 41km², the remote offshore wind farm is equipped with 80 AREVA AD 5-116 wind turbines (formerly M5000-116) rated at 5MW each, approximately 120km of 33kV inter-array cables, and a self-floating and self-installing substation platform. Installed at a water depth of approximately 40m, the turbines have a hub height of 90m, total height of 148m and a rotor diameter of 116m, and are placed on 900t tripod foundations. 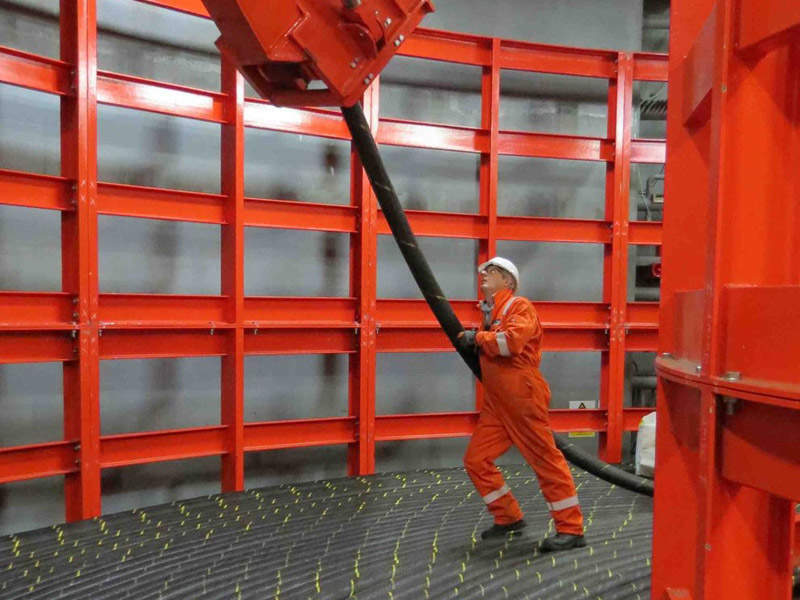 The 9,000t offshore substation, featuring seven decks, is primarily equipped with four transformers, a switchgear, auxiliary diesel generators, a central control room, accommodation facilities for 37 people, water and waste water treatment facilities, a hotel, a hospital, fire-fighting facilities, a helipad and an offshore crane. The operations control centre for the wind farm is located at HafenCity, Hamburg. The construction works for the project commenced in August 2012, the installation of the first wind turbine started in September 2013 and the installation of all of the turbines was completed in August 2014, the transformer station installation was completed in May 2013. The inter-array cables are connected to the offshore transformer station in seven ring circuits, where the voltage is transformed from 33kV to 155kV. The output is then transferred to the grid operator TenneT’s BorWin Beta offshore converter station, where the alternating current is converted into direct current to facilitate the transmission of power to the Diele substation onshore. 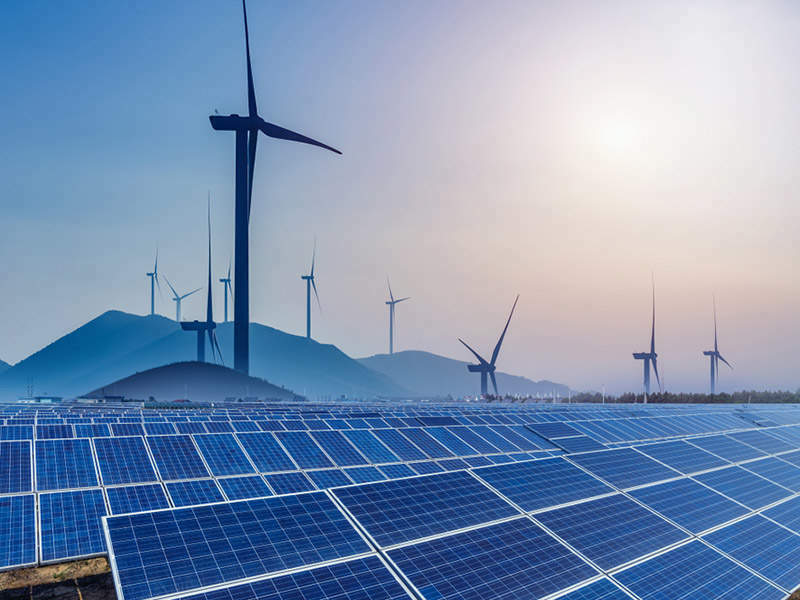 The wind turbines were supplied by AREVA, while the permanent magnet generators, converters and switchgears for the turbines were supplied by ABB. 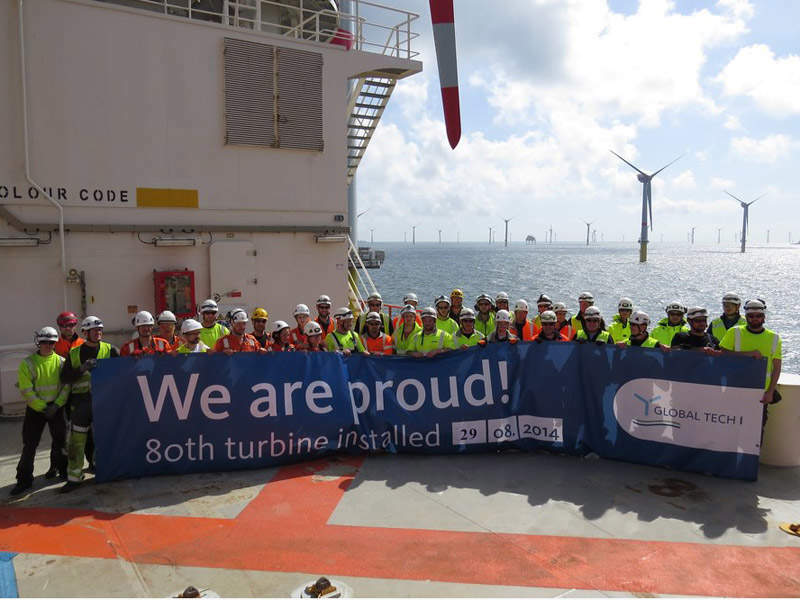 HOCHTIEF was contracted to construct the turbine foundations and install the wind turbines. Jan De Nul Group installed scour protection around the foundations. The cranes and self-propelled modular transporters (SPMTs) for the construction and transportation of the turbine foundations were supplied by Sarens Group. The consortium of Norddeutsche Seekabelwerke and Global Marine Systems was contracted to supply and install the inter-array cables. The consortium of Alstom Grid and Keppel Verolme delivered the offshore substation platform, and was also responsible for the installation, erection and commissioning activities. The final mechanical and electrical installation works for the turbines were performed by Global Wind Services (GWS). The commissioning inspection for the elevator and service lifts was rendered by TÜV Rheinland. Hochtief’s Thor Vessel, Fred. Olsen Windcarrier’s Bold Tern and Brave Tern vessels, Seajacks’ Seajacks Hydra, and Neptune Offshore’s Reef Despina were deployed for the transportation and installation of the turbines, whereas the installation of the tripod foundations and rotor stars was performed deploying Hochtief’s Vidar and INNOVATION vessels. The inter-array cables were installed deploying the CS Sovereign and Cable Innovator vessels. The latter vessel further deployed its Excalibur remotely-operated vehicle (ROV) for burying the cables to a depth of 1.5m in the seabed. Jan De Nul Group deployed its Simon Stevin vessel for the installation of the scour protection around the foundations. The project involved an investment of approximately €1.6bn ($2bn), which was financed through debt financing amounting to more than €1.047bn (1.17$bn approximately) provided by a consortium of 16 commercial banks, the European Investment Bank (EIB) and KfW. The remaining amount was raised through equity from the project shareholders. Presently working in the energy market with major companies such as EDF Energy, E-ON, Sellafield, ACTiv Nuclear, Doosan Power and many others, Blackburn Starling has undertaken a range of projects including power generation, biomass fuel conversion, hydro-electric schemes and reducing energy consumption by optimising usage via intelligent control.